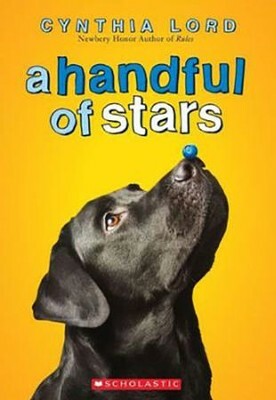 When Lily's blind dog, Lucky, slips his collar and runs away across the wide-open blueberry barrens of eastern Maine, it's Salma Santiago who manages to catch him. Salma, the daughter of migrant workers, is in the small town with her family for the blueberry-picking season. After their initial chance meeting, Salma and Lily bond over painting bee boxes for Lily's grandfather, and Salma's friendship transforms Lily's summer. But when Salma decides to run in the upcoming Blueberry Queen pageant, they'll have to face some tough truths about friendship and belonging. Should an outsider like Salma really participate in the pageant -- and possibly win? Cynthia Lord is the award-winning author of Rules, a Newbery Honor Book and a Schneider Family Book Award winner, as well as the critically acclaimed Half a Chance and A Handful of Stars. She made her picture-book debut with Hot Rod Hamster, which won several awards, including the Parents' Choice Award, and is the author of the Shelter Pet Squad chapter book series. She lives in Maine with her family. Visit her at cynthialord.com. I'm the author/artist and I want to review A Handful of Stars.